Nowadays, brand ambassadors play an increasingly important role in the successful marketing of products, both to the on-trade and consumers alike. Stephanie Jordan tells us how growing up in wine country cemented her love for the drinks industry, what steps she took to become the worldwide face of one of the most popular pours, and what it really takes to become the embodiment of a brand. Having started out in wine, you’re now the Global Brand Ambassador for the 4th best-selling gin brand in the world; was the switch to spirits a deliberate one? I would say yes, it was. Wine is my first love and years back I had the opportunity to join the Inter Profession for Beaujolais wines. My ambition was to support local Burgundy and Beaujolais winemakers, however I realised that I was lacking the core marketing experience, being fresh out of business school. In general, global booze brands are built in the spirits and champagne sectors, and so I decided that the best path would be to learn from the best spirits marketeers before applying that knowledge to wines. Growing up, your parents were in the wine and spirits trade; how did you decide that the drinks industry was for you? Honestly, the industry chose me! My parents moved me and my sister from London to Burgundy when we were still young. When you are raised in wine country it just becomes a way of life; from being late to school because you are stuck behind a harvesting machine, to receiving your first pay slip as a reward for cutting grapes and avoiding your fingers in the process. I wanted to get into the liquids, tell the story behind the production to anyone who would listen, and immerse myself into the brands' heritage. You undertook WSET qualifications while studying business at university. What role has brand-neutral wine and spirits education played in your career development? I started studying for WSET qualifications when I was 18, on my parents’ advice (my mother holds the Diploma and my father holds the Advanced Certificate, now the Level 3 Award in Wines). 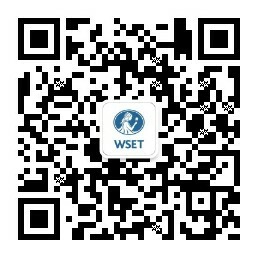 It was clear to them that if I wanted a career in this industry, WSET was the first port of call. The knowledge I "imbibed" over the course of the two certificates set me apart from the other candidates during interviews for internships, which in turn allowed me to build a strong CV by the time I left business school at 22 and walk straight into Diageo, the number one wine and spirits company in the world at the time. You joined Diageo in 2009, as part of the graduate sales and marketing team in Spain. How did you benefit from being part of a graduate scheme? The grad schemes are great for those seeking an international business career as you get to dip your toe in sales and marketing and work out where your forte is. I actually found it frustrating initially as I found myself wanting to go further in my sales role – I wanted to get into the liquids, tell the story behind the production to anyone who would listen, and immerse myself into the brands' heritage. Thankfully a very special person, who later became my mentor, spotted my passion and brought me into his brand ambassador team for the luxury portfolio. As Global Brand Ambassador for Tanqueray you work with front of house staff, especially bartenders. What key skills are you seeing develop amongst this growing profession? Ambassador roles can be tricky as you need to be credible in the trade first and foremost, but you also need an ability to engage and work with your company's internal stakeholders. It can sometimes be frustrating when you are straddled across trade and corporate, and having experience as a bartender isn't necessarily enough to help overcome those difficulties. Aside from heaps of passion, I recommend anyone wanting to get into brand-focussed roles to have a solid business grounding as it will help you navigate the corporate world and get the budgets and freedom you need to go out and rock the on-trade! The #TanquerayTravelLog made us think you’ve got one of the best jobs in the world! What’s your favourite thing about being a brand ambassador? Haha yes the travel logs are pretty cool, but to be honest I just take advantage of the fact that I am already visiting a market to deliver training and "World Class", our global cocktail competition. This allows me to utilise the budgets to create engaging content in which I showcase the Charles Tanqueray story. Today it’s all about authentic, relevant content on social – that’s how brands are communicating with their audiences. It’s straightforward and a little rough around the edges, making it real. To answer your question, I would say that people are my favourite thing. There is nothing better than meeting and engaging with like-minded, passionate people from all over the world. You’ve been named a top woman to watch in the industry – what advice would you offer young women looking to forge a career in what is often considered to be a male-dominated trade? Be yourself and remember to help other women. It’s not about positive discrimination but absolutely about mentorship and positive re-enforcement. Since conducting this interview, Stephanie has moved on from Diageo and relocated to Amsterdam. Follow her @drinkingoutloud.